From an idea, to a prototype, to the best trampoline court in the world: Vuly Fusion has come a long way! 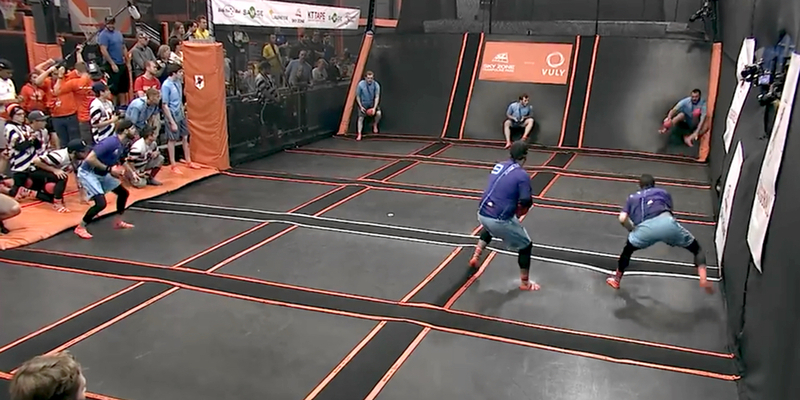 This year, Fusion 3 – the latest in Vuly Parks technology and a court that’s exclusive to Sky Zone Trampoline Parks – served as the battle arena for this year’s Ultimate Dodgeball Championship. It was the first time that participants in the tournament competed on a surface that was completely open for bouncing, with no padding taking up significant play area space. What a difference that would have made to each side’s performance and tactics! Vuly Fusion technology is now installed in Sky Zone park facilities around the world – including in the USA, UK and Australia – and Sky Zone hosts the Ultimate Dodgeball Championship each year in the USA. In 2017, the top tier teams competed for $50,000 in cash prizes, with Team DOOM! scoring their fifth UDC title with their win in the finale. It’s only August, but Vuly is already preparing for a big Christmas! We’ve begun our rollout of visual merchandising to Authorised Resellers across the country. This season, we’re expecting that our stockists will comprise the largest part of our business yet – with every trampoline model now available to every store, plus the all-new swing sets arriving this spring. Vuly has been distributing high quality material directly to stores and engaging with them on the best ways to present our products and fulfil customer expectations – and we'll continue to do so in the coming weeks. We want those who head into their nearest Authorised Reseller to have an experience as great as if they’d come into our own Vuly Showroom, and this includes having ‘Bounce Before You Buy’ models available to try out. This Intersport store in Taralgon has both a Thunder trampoline and a 360 Pro swing set set set up – that’s the dream combo! If you’re a stockist, and you’d like more information, call your friendly Wholesale Team member on 1300 667 514.